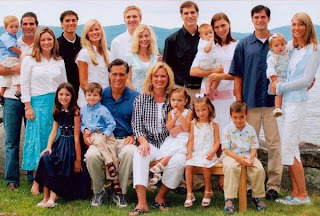 Oh, to be Matt, Tagg, Craig, Ben and Josh...Romney. A couple days ago, likely spurred by the releasing of his tax returns, we now know that Massachusetts Governor and GOP presidential hopeful Mitt Romney is not only really wealthy, but he has set aside near $100 million for his kids. That is not the part I care about, but I do care about how he got it there. As the CNN article accurately states, under current law you can transfer some $5 million to other during your lifetime, or at death. Double that for a married couple. That does not add up to $100 million. Yet a Romney spokesperson claims they have not paid any gift tax. How does this happen? Let me count the ways. Without completely plagiarising the CNN analysis, there are a variety of valuation discounts, fancy trusts, and other estate and tax planning mechanisms that you can use to give money to someone else. Valuation discounts means that you can claim a $100 asset is only worth $50 because of how it is owned, controlled, or other really good excuses. The fancy trusts accomplish a similar goal by isolating an asset, usually a stock, oil/gas resource, even a small business, and having any increase in value pass tax free onto someone else. However, the key to all these is an underlying asset or class of assets that experiences growth. You don't accomplish much of anything if what you put in the trust starts worth $100 and ends worth $100. There is good, and then there is Romney-good. Assuming that all the gifting was not done in the last couple years, in reality the underlying assets had to be valued at a maximum of a couple million (as the current $10 million limit/couple was $7 million/couple in 2009, and as little as $2 million/couple as recently as 2003). This means that, roughly, he turned $2 million in tax valued assets into $100 million. In less than a decade or so. This is incredible. We can't all be Mitt Romney. Politics aside, we can hope to use the strategies he has used to grow and transfer wealth to our loved ones. You do not have to have millions to take advantages of the same tools Romney has used, you just need a competent estate planning attorney. Or marry a Romney. Both work. I believe what is more appalling here is how he runs on the advocacy that he is pro-poor when in fact he was never even been poor all his life. I hope I can also get my sacramento estate planning attorney to turn my investments to $100 richer in my lifetime. The best site contact NTRUST for affordable.